Want to bring a sense of elegance and sophistication to your room? Then look no further than the beautiful Morowa collection by Surya. This dazzling piece is woven in India with 100% cotton and displays a striking pattern that is absolutely stunning. Create your new look today with this lavish pillow, it will definitely brighten the room with its impressive appearance! 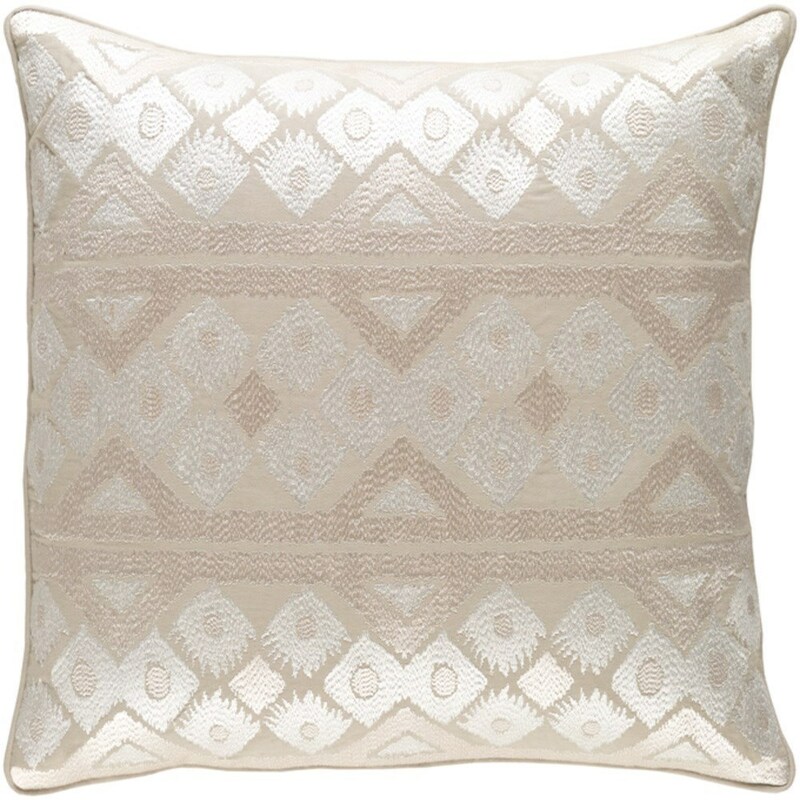 The Morowa 20 x 20 x 0.25 Pillow Cover by Surya at Royal Furniture in the Memphis, Nashville, Jackson, Birmingham area. Product availability may vary. Contact us for the most current availability on this product. Browse other items in the Morowa collection from Royal Furniture in the Memphis, Nashville, Jackson, Birmingham area.